Each year, the Enrico Caironi Lifetime Recognition Award, named in fond memory of the co-founder of The Knight of Illumination Awards, is presented to an individual to honour their outstanding accomplishments. 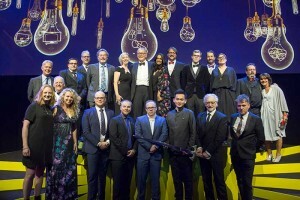 This year's recipient was Keith Benson, in recognition of his exemplary 44 years with Glyndebourne opera and his work as production electrician on a range of big-name shows including the original Cats, Les Misérables, Starlight Express, Sunset Boulevard and Crazy for You. He has worked for the Royal Shakespeare Company, toured with Dame Shirley Bassey and supported many world respected lighting designers with creativity and generosity. Many of those who have worked alongside Keith cite his support as a major contributor to their career. All the night's winners were presented with the coveted trophy of the Knight of Illumination Awards, the ornate broadsword. In addition, each was given a more portable sword in the form of a pin badge to signal the designers' achievements and their right to be recognised as masters of their craft. The Headline Sponsors of KOI 2018 were Claypaky and Osram. In his welcome speech, Pio Nahum, CEO of Claypaky, said, "Congratulations to all of tonight's shortlisted and winning designers. KOI began because we wanted to celebrate lighting designers and their mastery of the art of light, regardless of the tools they use. We should never mistake: when lighting moves our emotions, it is because of their skill, not because of technology." The evening was skilfully compered by renowned lighting designer and KOI co-founder, Durham Marenghi and included mind-bending entertainment from mentalist magician Chris Cox. 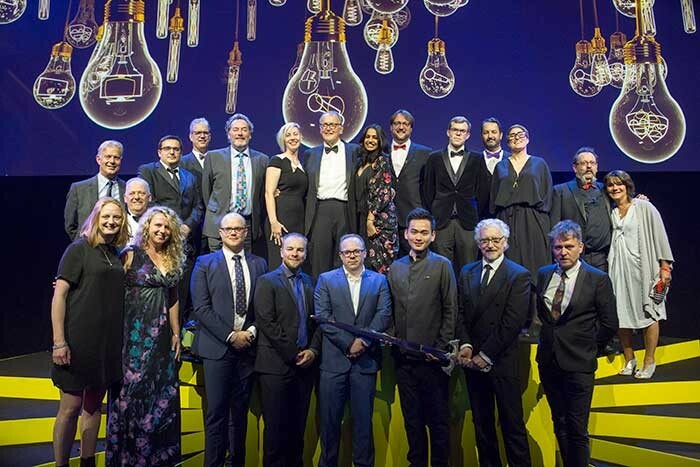 The occasion also launched The Knight of Illumination Awards USA, which makes its debut in Las Vegas on 20 October, to coincide with the LDI trade show.